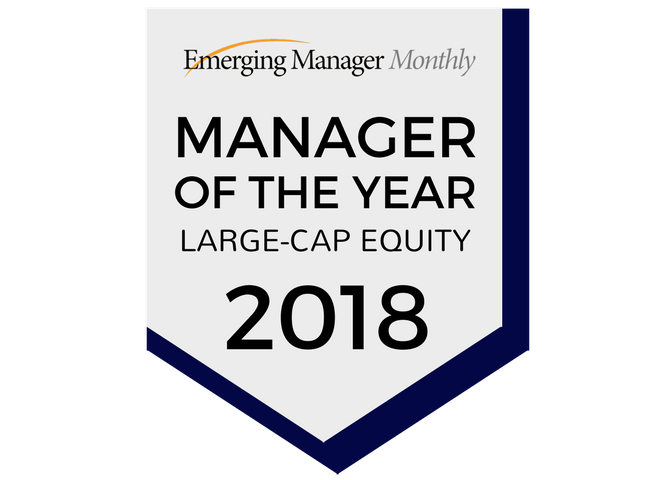 Englewood, CO, May 18, 2018 – Wakefield Asset Management, LLLP, is pleased to announce that our Wakefield Large Cap Equity Portfolio was named Manager of the Year by Envestnet, Inc. (NYSE: ENV) and Investment Advisor magazine in the U.S. Equity Large Cap category. The Large Cap Portfolio is managed by G. Todd Gervasini, the Managing Partner and Chief Investment Officer for Wakefield Asset Management, LLLP. Past performance is not indicative of future results. Investing involves multiple risks, including but not limited to the risk of the permanent loss of capital. Adviser makes no guarantees or promissory representations as to the performance of any investment. Wakefield Large Cap Equity composite returns are used in Envestnet | PMC’s Premium Research solutions. Actual results may differ from the composite results depending on the size of the account, investment objectives, restrictions, transaction and related costs, the inception and date of the account and other factors. Inclusion of any firm in the Asset Manager and Strategist of the Year Awards does not constitute a recommendation to make, hold or seek an investment in any fund. Nor does exclusion of any firm in the Asset Manager and Strategist of the Year Awards constitute a recommendation to make, hold or seek redemption in any fund. This recognition is not indicative to Wakefield Large Cap Equity’s future investment performance. Four award finalists were chosen out of the 33 large cap equity separate accounts currently covered by Envestnet | PMC. Wakefield did not pay to participated in the Asset Manager and Strategist of the Year Awards.